Our Vote Yes Red Sign is a fantastic way to push your agenda without being overly obnoxious with your design. 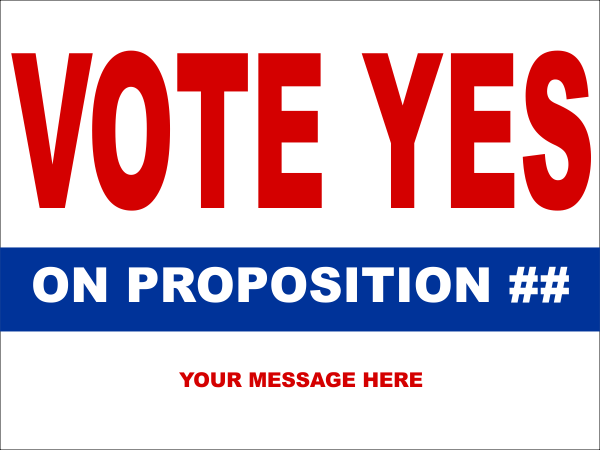 Our Vote Yes Red Sign is a great way to show your proposition opinions to the world. Our yard signs are intended for outdoor use. Signs measure a standard 18" x 24". Our products are made in the USA and most orders ship next business day.